Curling hair using a hair iron has become so famous. It's actually a nice beauty trick to know especially if you want to save some bucks! Instead of buying a separate hair iron to straighten your hair and another curling iron rod to curl your hair, you can just use 1 device to achieve both the sleek-straight and cute-curls look! I own quite a lot of hair products already. Some of them are really nice but expensive. Some of them are cheap but don't work quite well. I was so glad when I discovered a really nice flat iron! I am definitely keeping this in my beauty corner. 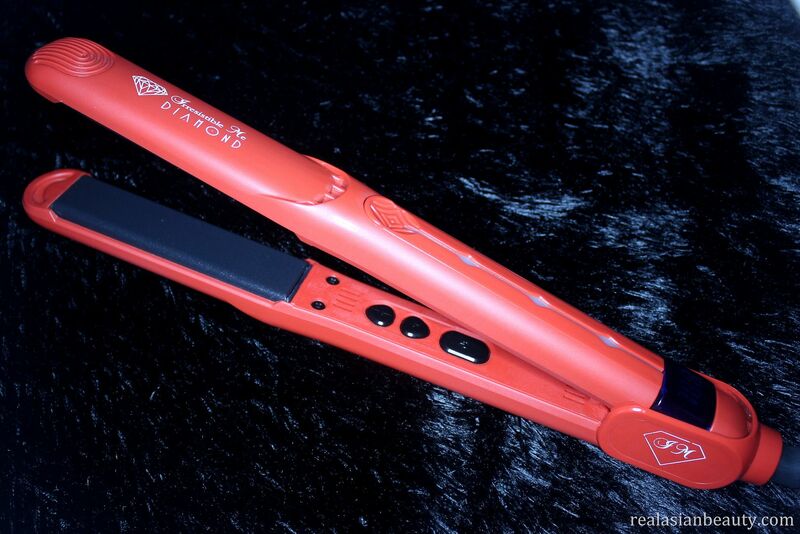 The Irresistible Me Diamond Professional Styling Iron. 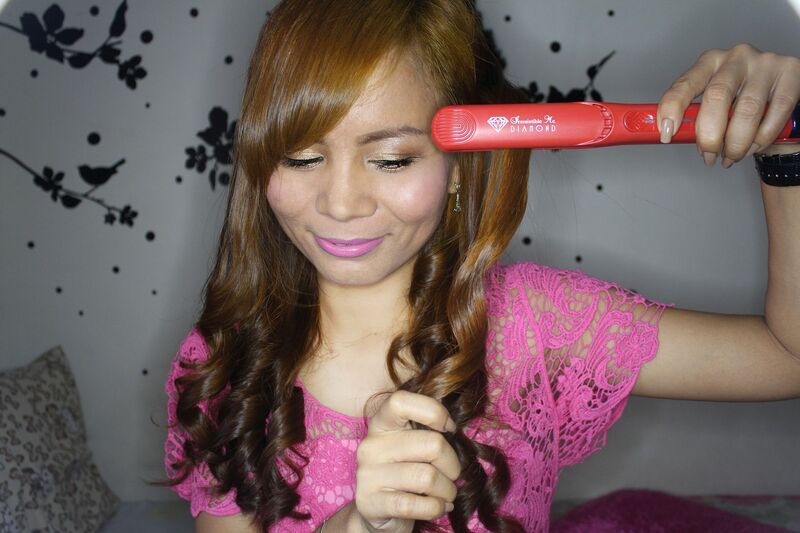 I am not saying this just for the sake of promoting the product but this hair iron is definitely my favorite. Most irons I have used are either too heavy and bulky, damage the hair or trap and hurt the hair when you iron. This hair iron is so light, so easy to use, doesn't hurt the hair when you glide it and doesn't damage the hair as much as other hair irons! How amazing! I have never felt this ease when styling and curling my hair! Good thing I discovered the Irresistible Me Hair Iron! It is so lightweight so my hands never feel sore even when I am doing the back area of my hair. It glides on smoothly on the hair and my hair isn't very damaged even though I have been using it for 3 months already. 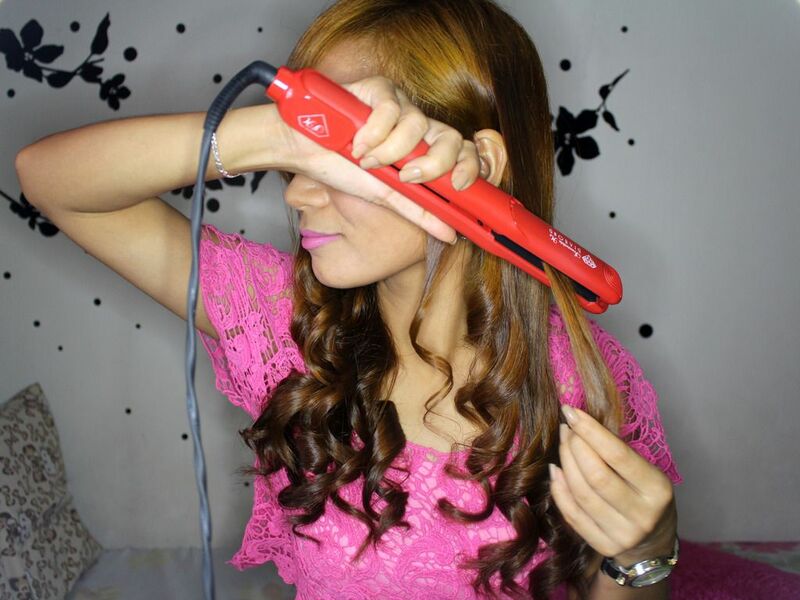 It is also very easy to use when curling the hair! 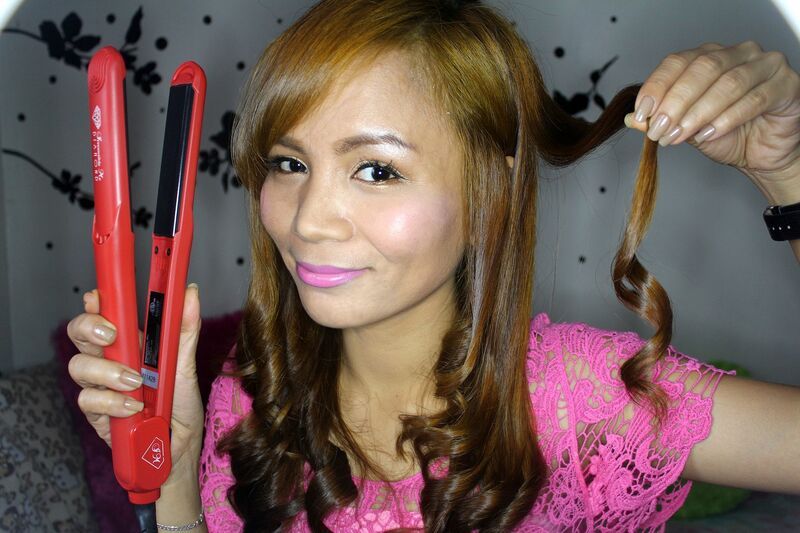 Watch the tutorial on how to curl your hair using a flat iron. 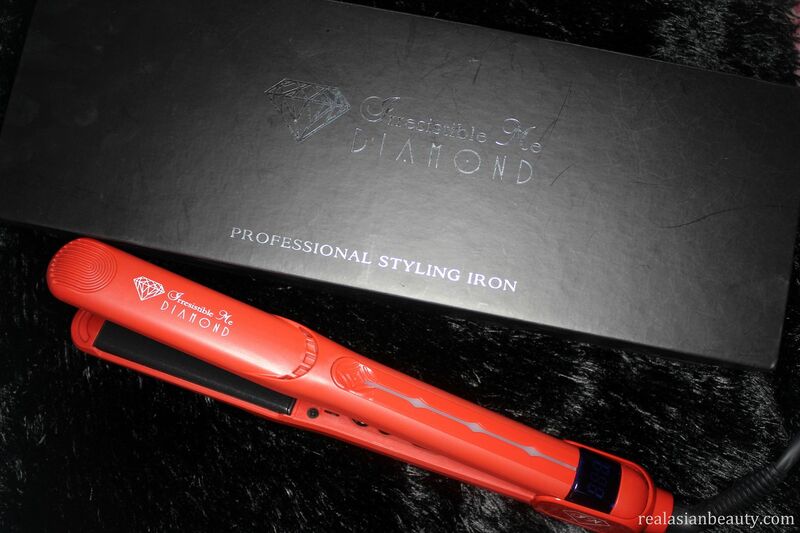 The Irresistible Me Diamond Styling Hair Iron is available on Irresistible Me's website HERE. There are so many ways to style and curl your hair but in the video, I decided to show the 2 most common hair curls : Inwards and Outwards. The left side of my hair (the right you see on the screen), I did Inward curl. 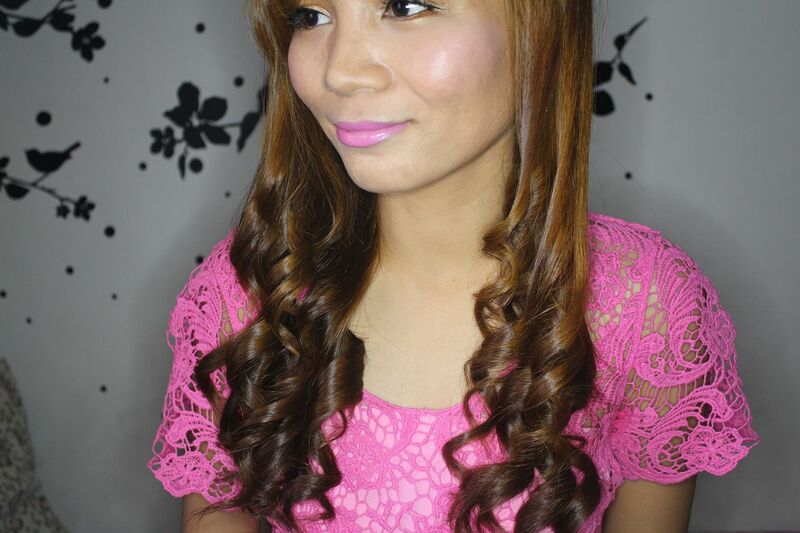 I like doing inward curl especially on days when I want to look dolled-up, girly yet a bit toned down. It is also good for people that want their face to look a bit smaller as in creates an illusion of having smaller face. Outward curl was done on the right side of my hair (the left you see on the screen). I like doing it especially on days when I want to look extra special. In my opinion, outward curls look extra glamorous and playful. The Irresistible Me Diamond Styling Hair Iron is available on Irresistible Me's website HERE.  Remember that you can get 10% Discount when you use my discount code IrresistibleKristine on their website HERE! I hope you learned how to curl your hair using a flat iron through my short video.